The COMEX, previously known as the Commodity Exchange Inc. is a world scale company with headquarters in New York. It is one of the main divisions owned by CME Group of Chicago. The exchange is famous for its rich history and good reputation, and the influence of the happenings there on the economy of the US and that of the world. As indicated in the data of the Seeking Alpha portal, in early June, COMEX received a request for the delivery of 550 000 ounces of physical gold. At that moment COMEX had about 370 000 ounces, which is why the Fed helped the exchange reaching an agreement with JP Morgan bank to execute the liabilities of supplying gold. The Fed had to cover the 5.29 tons of gold shortage. The JP Morgan Chase & Co transferred 177,402 ounces of gold to COMEX's gold reserves within the shortest possible period, and it appeared enough to cover the yellow metal shortage in the commodity exchange. 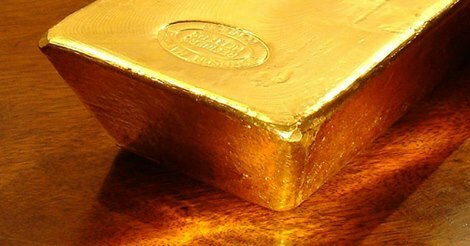 However, in the nearest future the shortage of gold in COMEX could present a problem once again; which consequently could lead to a sharp rise in the cost of the precious metal. Central banks aim right now at holding the growth of gold prices, not to endanger the situation of their respective national currencies. Do not waste a single minute and save your capital with gold today while the price is affordable! Share this piece of news in your social networks and let others the opportunity to take the right decision in time!